Couldn’t have said this better. It’s not just about sound quality (though analog’s richer, fuller tone certainly plays a role), nor a fleeting fetishization of the past. Vinyl’s resurgence is inextricably tied to its most basic, unflappable tangibility—the quality that mp3s, in their boundless convenience, most glaringly lack. If the Dropbox generation was supposed to drive the final nail in vinyl’s coffin, it has also, paradoxically, rendered the album format strangely refreshing for younger music consumers today. Many find themselves drawn to the sheer physicality of spinning an LP—simply pulling out the sleeve, hearing the crackles, flipping over the sides. 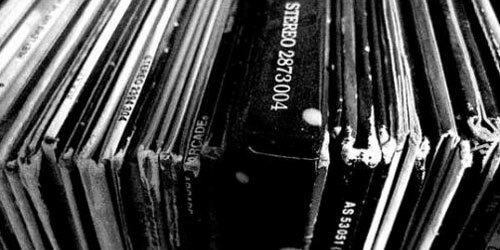 By listening to one record, you can forge a more visceral, tangible connection to the music. By amassing hundreds, you might begin to construct a rawer, messier sense of self.